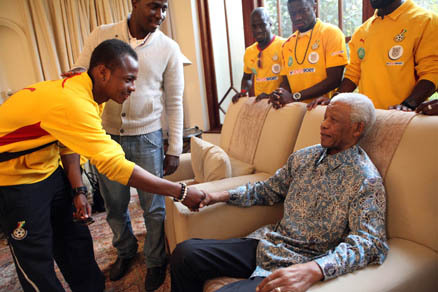 5 years ago today, the late Nelson Mandela was introduced to members of the Black Stars, coach and technical team at his house in Houghton,Johannesburg,South Africa. 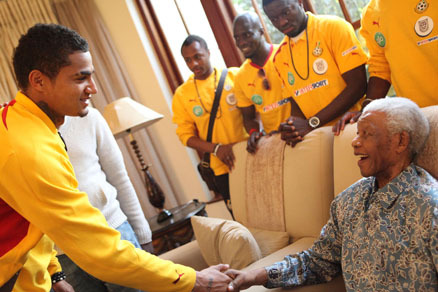 South Africa winning the right to host the World Cup in 2010 was largely made possible by Mandela’s influence. 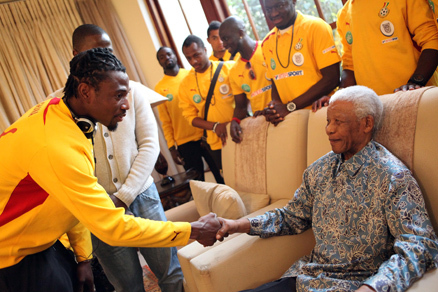 He wished the team well before their match against Uruguay which they unfortunately lost in penalty shoot out. The Black Stars enjoyed the support of not only Ghanaans at the soccer festival but Africans around the world for their sterling performances.